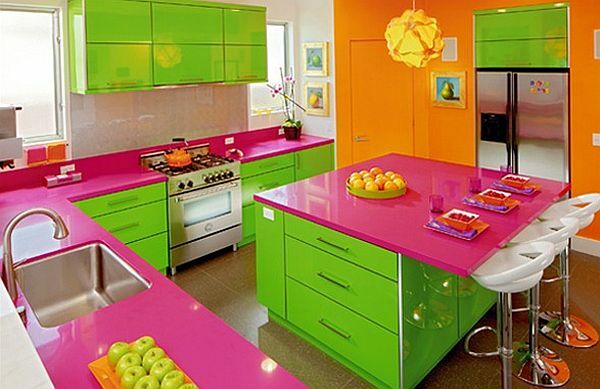 If you are thinking about getting a new look for your kitchen, color would be a strong decorating element. 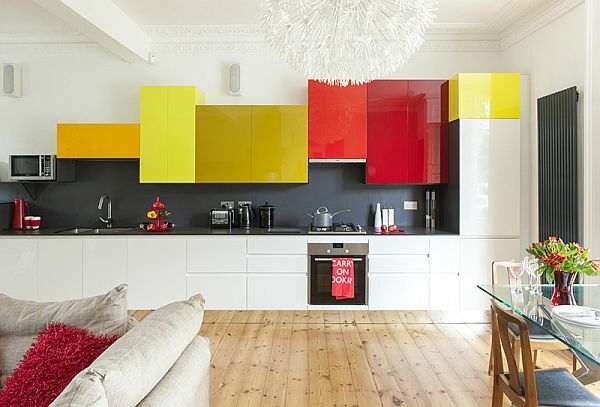 Adding colors would turn your kitchen around without costing much. Your tile floor and wood cabinets are all in great shape but the dull white walls do nothing to highlight the room so you can use reusable materials like glass for cabinet doors and make use of vibrant colors. If you want to modernize your kitchen within a budget, then painting, staining, and even replacing cabinetry doors with new modern ones are options to consider. 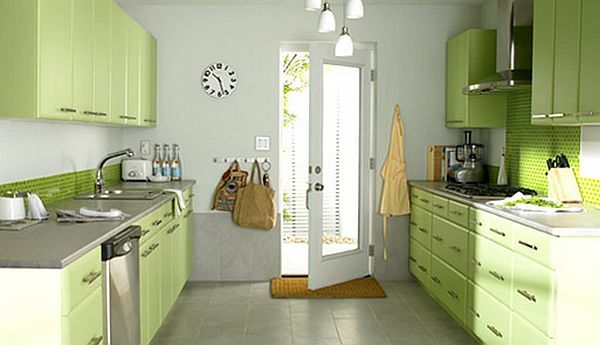 There are number of beautiful finishes you can apply to transform your old kitchen cabinetry while painting cabinets. 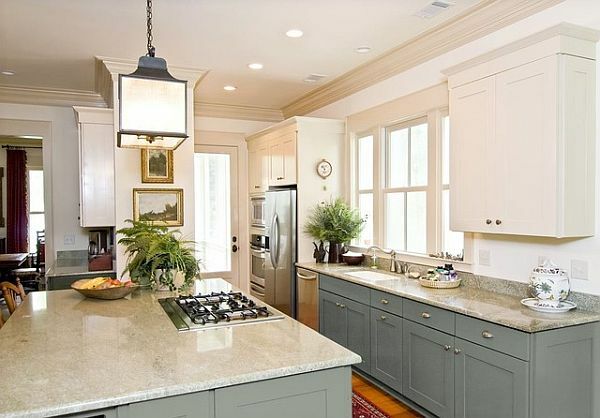 After modernizing all parts of the kitchen, do not forget about lighting! It may be a minimal part but is essential for safety and versatility of your kitchen. You can adjust illumination strength while entertaining, cooking, or just relaxing. Under cabinet lighting to illuminate counterparts, and pendant lighting over a kitchen island are the most popular trends. 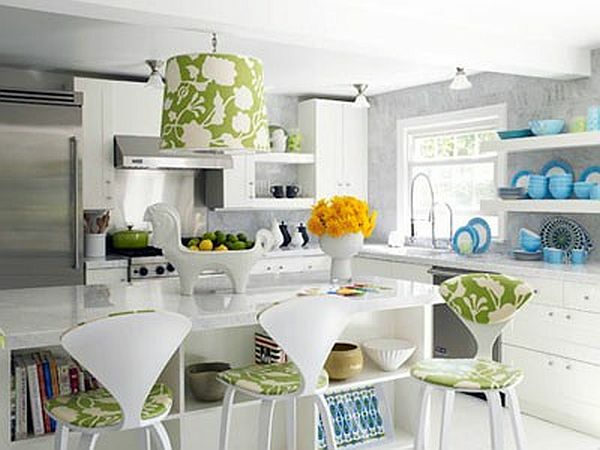 You can use number of decorative items in your kitchen to bring a sense of your touch. Many use plant shelves on the top of the cabinets that embrace the appearance of your kitchen. Add a vase of flowers, or a fresh bowl of limes for a shot of color and make your kitchen impressive with decorative additions. You can select a single color for both walls and doors and coupling them with a plain white ceiling for contrast, as it produces effect that is much more dramatic. Against the blue background, the white cabinets and appliances will gain more attention. Further, you can use the decorating materials that highlight the contrast and give more coloring effects. Everyone wishes to have a simple, classy, and sleek kitchen to impress others with their designs. This look is here to stay in 2014. If you have a cold uninviting kitchen, you can apply some wooden accessories, which will improve your kitchen design. You do not need to use tiles, just apply solid marbles or strips of glass. 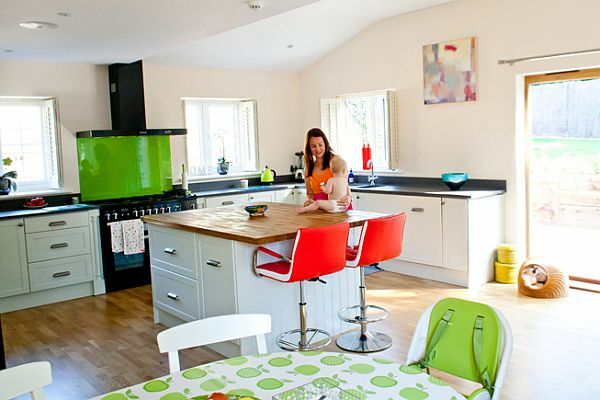 Decorating tips can help you transform your kitchen into the room of your dream. Mix and match them to create your own unique kitchen style.